Are you one of those who search the web like crazy and look for the best restaurant with recommendable food and beautiful surroundings, when you are away on vacation ?? Your own private serene oasis, that only you have discovered (ie if you just for a moment ignore all the others guests who also eats there?). Then look here for Yoma is one such place, with its little secret location in the most beautiful surroundings and with lovely, lovely food! For it is a bit like being on a discovery journey or better yet – be the hunter, who has discovered and closed down its prey and now stand with the trophy in hand. Yes ok, it might sound a bit exaggerated, but this is what I imagine, when I find a very special place – like a hunter with his prey. I am proud!! And if you are a true food-afficionado as I, you might know the feeling?? 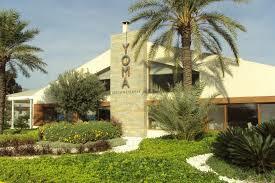 Yoma is a restaurant, we have visited through many, many years. We have been on its journey from being a little canteen-style cafe, that people who worked on the harbor used, through almost decline, till it a few years ago was completed and ready as a modern luxury restaurant that serviced yatch ‘ in the harbor. Raised like a phoenix from its ashes …. Yes, it is big words I use today, but at this restaurant, it is justified. It has really been a marvelous journey. And it has been a fun experience being a spectator. 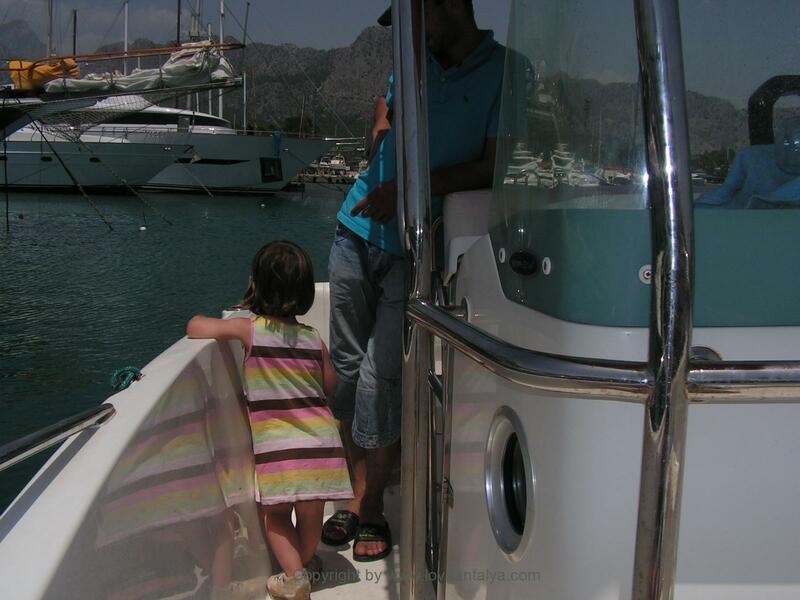 We started to come at the port for more than 12 years ago (in 2003/4) of pure interest (. I am talking about the big industrial harbor Buyuk liman – not the charming little touristic Yat liman, which lies entirely within the old town). We had heard,that there was a small restaurant out there. 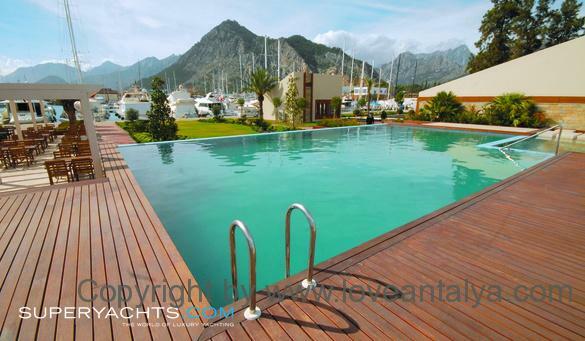 Cosy because of its maritime decor and especially the location directly next to the sea. There was no doubt about where you were. The food was reasonable but nothing to report about. You came because of the location. We also came because of the boats, for yes, we both have a passion for boats, sailing ships, yachts and what else you can find out there. There is a great atmosphere in the harbor, that you can not find elsewhere. We got the feeling under our skin, as we had a boat in the harbor and went and cuddled and polished on all summer and ate lunch (and sometimes dinner) at Yoma every day. It still stands as some of the loveliest and most relaxing vacations at all time. The restaurant was close to shutting down until the port was acquired by a large company Celebi and they developed it into, what it is today. That meant, that the whole area was given a tremendous boost and that the restaurant was fortunately rescued and restored. One might argue that some of the original charm was lost, but there is not well treated without also spilling a little. Basically, it has also only been positive for the restaurant – it now appears as a luxury restaurant with good food, wine and ambiance of some unique surroundings. One can not help being just a little bit impressed, when being let into the harbor of border guards to open the barrier for you so that you may enter in your car. You drive or walk to the resturant along with the boats towards the most beautiful building, well-lit at night and lying completely out of the water. If you’re really lucky you get a table, so you can sit and look down on the waves lapping, but the smell and sound of the harbor and water is everywhere. Otherwise, you get a table, where you can either look out for Yacht’ or sitting in the middle of the charming little palm / cactus garden. Yoma has a large lounge area with large, wide, white sofas, you can sit in for a drink before or after dinner. The bar is also quite nice, although we once in a while have been unlucky with the bartender late at night. 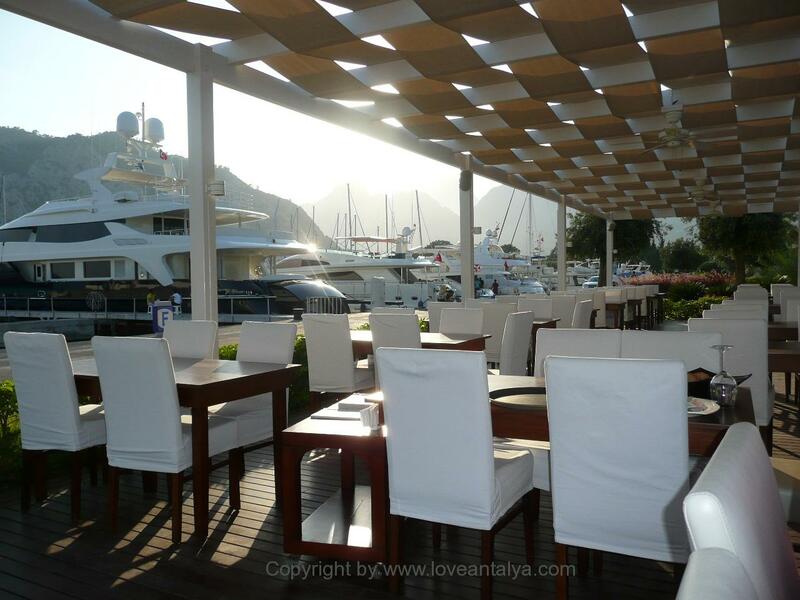 Thin, fine canopies hangs over the dining area, so you are shielded from the worst sun and the impression becomes more airy when the cooling breeze is coming in from the sea. It’s an atmosphere of calm and understated luxury that’s just extremely nice and pretty unique. The food is as always creative for both the eye and the tastebuds. 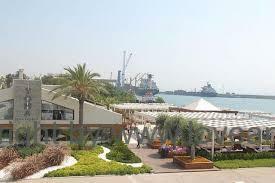 The menu is influenced by international customers (not for nothing there is huge yachts in the harbor), but you can also get several common Turkish dishes with a twist. The wine list is also quite good with a large selection of mainly local wines, which most often are surprisingly good. Prices are – as always in Turkey – not so scary, but more expensive than in the town. 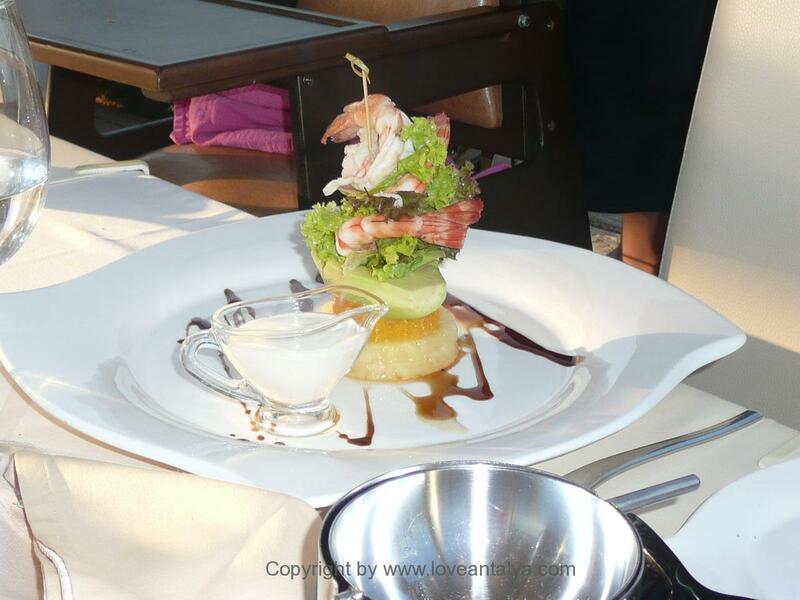 A 3 course meal for two costs about 125-180 YTL. Wine costing 65-210 YTL on top. Although the surroundings are quite posh, it’s so easy to have children with you (and they are more than welcome). On the back of the restaurant there is a small playground and a beautiful pool, which can be used, and otherwise there is crab fishing in the harbor for slightly older children. If you are interested to read the reviews (but be critical), then you can go directly to TripAdvisor here. It’s a bit worrying, but they haven’t got good reviews this past year. But I sincerly DO hope, that this is just a few unhappy customers and not the opinion in generel.